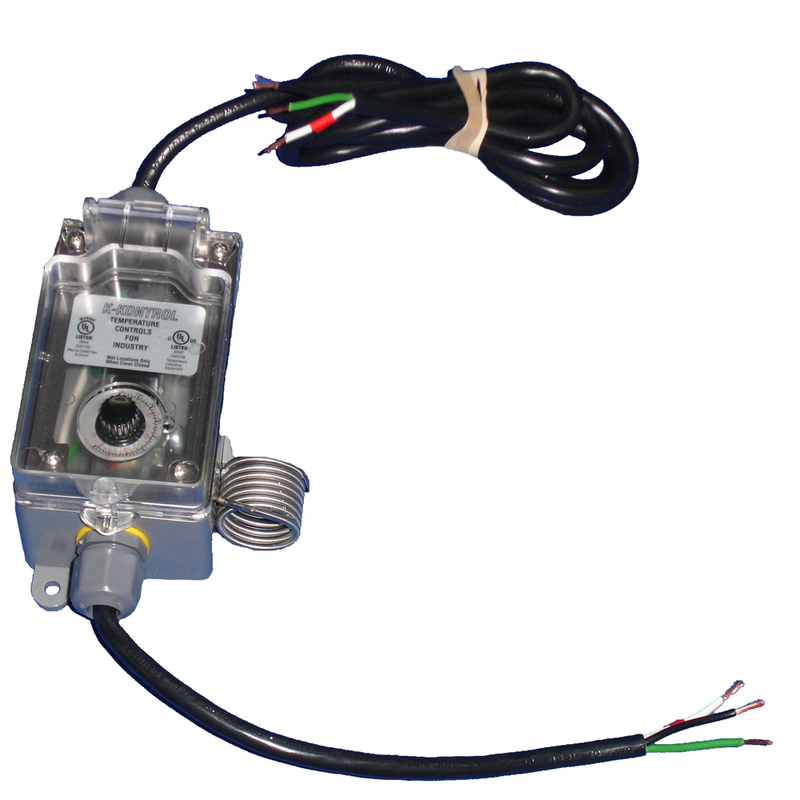 Ice Eater by The Power House 220V Thermostat with adjustable Temperature Range from 30°F to 110°F. Specifically for use in both salt water and fresh water. The thermostats are ambient air temps.